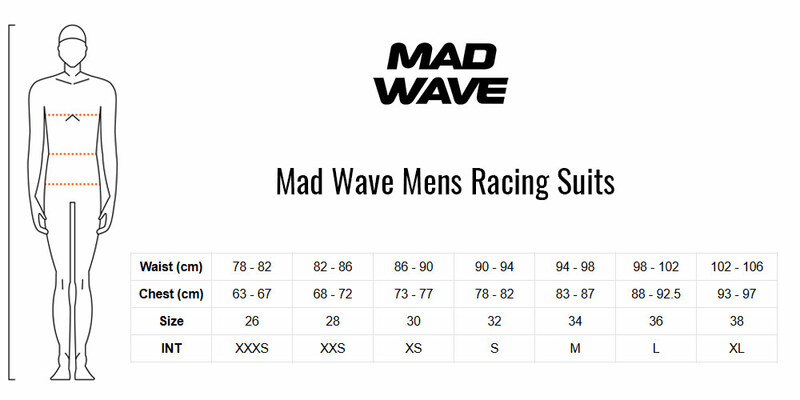 The Forceshell Open Back Racing suit from Mad Wave. The new stronger Forceshell Racing Suit series has been designed to meet the demands of professional swimmers. The Knee suit is made with the "Lotus" fabric from Mad Wave, an innovative and cutting-edge swimwear material for competitive swimming. This racing suit features a reinforced "poly shell" - providing you with advanced compression. Strong polyester yarns are woven into a hydrodynamic mesh structure over the surface of the suit, resulting in several unique benefits. The FINA approved Forceshell Open Back Racing suit from Mad Wave. The structures enable it to produce great compression whilst keeping the jammers extremely lightweight. The "poly shell" provides you with compression to support your muscles and help your body to work efficiently. Your circulation is improved meaning more oxygen is being carried to your muscles so that you can swim further and faster, for longer! The "Lotus" material has undergone a nano plasma treatment and is finished with a Teflon coating, making the fabric extremely water repellent for a light and fast swimsuit. The New Forceshell range of race suits uses double-sided glueing on the seams with an ultrasound application which increases the strength of the racing suit by more than 2x, providing you with the highest reliability at the most crucial moments. Every element of these FINA approved racing suit is designed with speed in mind!